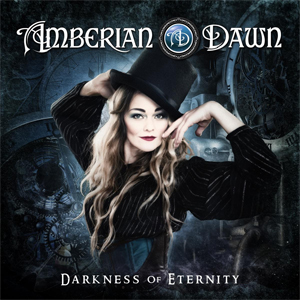 AMBERIAN DAWN Premiere Video For "Cherish My Memory"
That's what Finnish symphonic metal masters are all about! With their latest opus Darkness Of Eternity they definitely brought in some light into this world. Just in time to their upcoming tour run with Italian act LACUNA COIL this November, the band centered around mastermind Tuomas Seppälä and singer supreme Capri, have unveiled a new music video for the re-mastered song "Cherish My Memory". Get in the right tour mode & watch the video on KNAC.COM HERE.